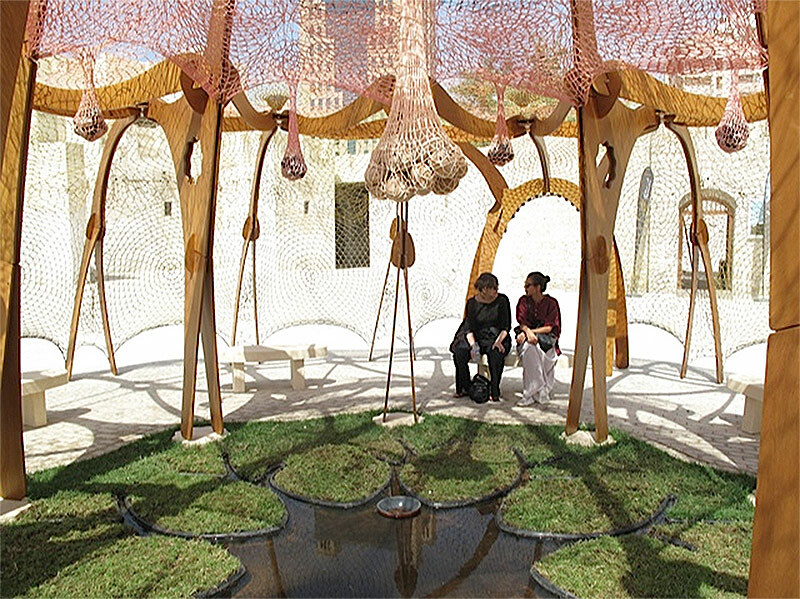 Brazilian artist Ernesto Neto has been exhibiting his work for almost 25 years. 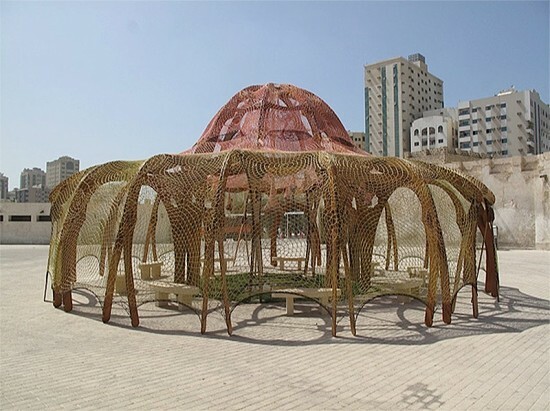 With his latest work, Neto crocheted a netted pavilion shaped almost like a spider that is currently on view at the Sharjah Biennial 11 in the United Arab Emirates. The Biennial, titled Re:emerge, Towards a New Cultural Cartography and curated by Yuko Hasegawa, investigates the overlapping public and private life found in the historic Islamic architecture of the Sharjah courtyards. 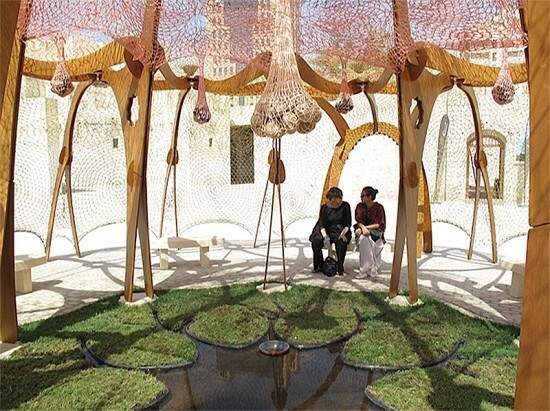 Neto’s pavilion, While culture moves us apart, nature brings us together, delineates a calm retreat complete with traditional trademarks of Islamic courtyards including shade, benches, greenery, and a small pond. He used a natural wood frame draped in yellow and pink netting to create a unique circular shape defined by arcs. And while the space looks distinct, it mirrors the basic ideas of traditional Islamic courtyards by offering an intimate public space for diversity, creativity, and exchange. Artists for the Biennial were chosen based on their deep and visible connections with their own cultures, like Neto, in efforts to view places outside their own cultures in fresh ways offering new perspectives and possibly creating cross-cultural materials.